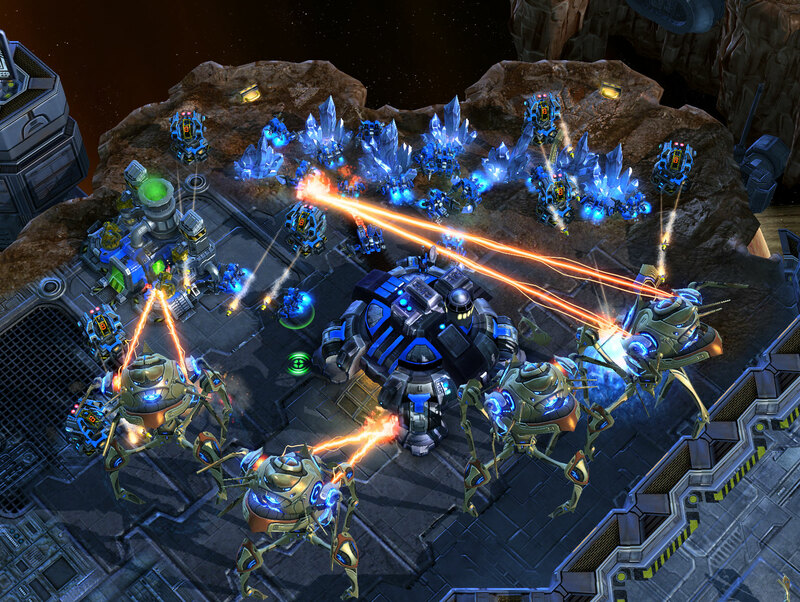 Well, Blizzard's big announcement is Starcraft II. Expect it in late 2038. While increasing the graphics quality to be on par with something you'd expect from a modern game, they've definitely kept the overall look of the original. It's bright, colorful, and cartoony, but not in the same exaggerated way of the Warcraft series. I'm actually surprised at how much it looks like the now-nearly-ancient original Starcraft... it's like Starcraft 1 in high-def. Take this shot for example. I'm glad it's not World of Starcraft. I still might have preferred Diablo 3, but the idea of Hellgate: London still has me thrilled, so I don't mind waiting a few more years for a new Diablo game.